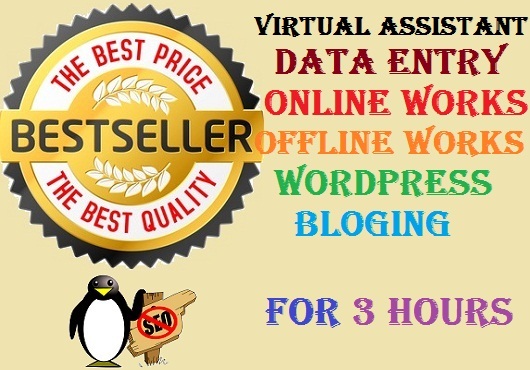 I will do any kind of data entry work in just $5/3 hours. Data Entry services includes all kind of On-Line Data Entry, Off-Line Data Entry, Data Suffering, Data Conversion, Data entry projects etc. do any kind of data entry work 3 hours is ranked 5 out of 5. Based on 18 user reviews.